Bradford Kessler (AP '13) has a solo show in Paris at the Valentin Gallery from Jan 7 – March 11. Bradford Kessler (MFA AP13) will be participating in the group show PĿΛNΞS, a curatorial research project, at BFI (Bas Fisher Invitational).The exhibition opens with a preview on Tuesday, Dec 1, 4–7pm and an opening reception Friday Dec 4, 7–11pm. 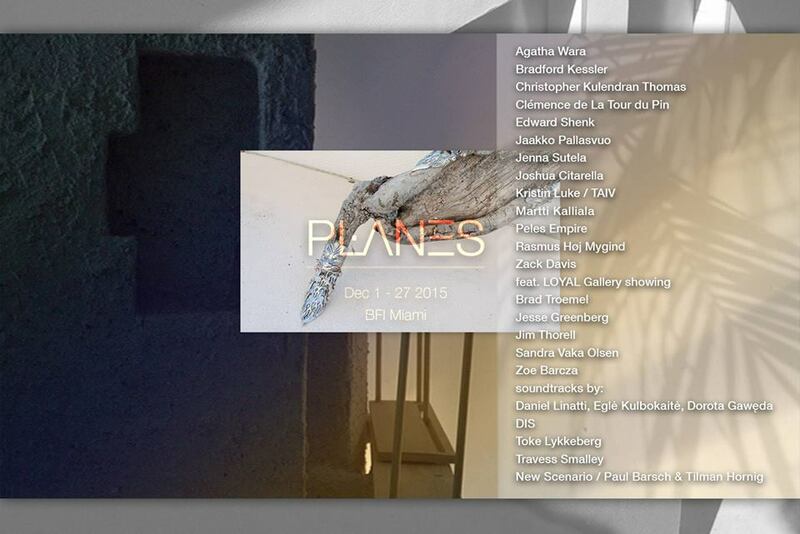 The exhibition will be open during Miami Art Basel as well with hours Wednesday, Dec 2 – Sunday, Dec 6, 12–6pm. Bradford Kessler (MFA AP13) will be exhibiting with M/L Artspace at Spectrum in Brooklyn on January 17th. Bradford Kessler (MFA AP13) is showing in Heathers, a group show at Rowing in London. The work was recently featured on Artforum’s critic’s picks. Check out Bradford’s work as well as the rest of the group in this intimate show expounding upon detached individuality.